What are the implications of the Cousins injury? Pick any aspect, any timeframe. 42: I’m going to take a long-term look here. “It’s over,” crossed my mind more than once in the past 36 hours. 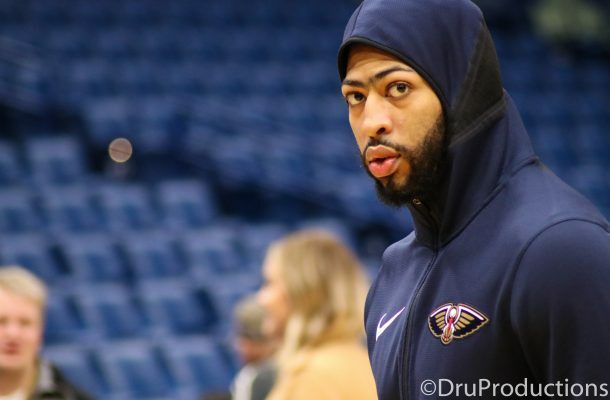 No matter what contract Cousins gets where, I don’t see the Pelicans being able to go out and get the talent necessary to render signing Davis to a deal in 2020 a fait accompli, assuming Davis declines the player option for 2020-2021, if he even makes it that long, as he can try to force a trade sooner. Davis may choose to sign without adding another key piece, but this is not clear to me. After Davis’ first year that made it clear he was living up to the hype, I wrote about the Sword of Damocles he is for the organization. All moves have to be viewed in the light of that contract. Period. Wins and co-stars are the best way to make that happen. So, this requires talent to want to come here. At this point, there is too much risk out there for top talent to come here in all likelihood, at least this offseason. The team will win games and show flashes, but up until that injury, they were on their way to having their best chance of a star pointing to New Orleans as an option and really creating a momentum change for the franchise (not just the team). Cousins will come back and play well in all likelihood, but even if he defies the odds and comes back better than ever once fully recovered, it will likely be too late. The timing is just all wrong. All the gambles, all the work, any good luck, all the king’s horses, all the king’s men just can’t put this together again. We’ll see wins, we’ll have good times, and basketball will in New Orleans, but the sun of this era may in fact be setting. Kumar: Immediately the management has two weeks to decide what type moves they want to make to set themselves up for the rest of the season and this summer. There are moves out there that will enable the Pelicans reach the playoffs. The question then becomes – how much are you willing to pay for that? Here are the things I feel to be true. 1) You cannot punt this season. The Pelicans are not bad enough for a good pick, and they are in solid position to still make the playoffs which is important for players like Davis. 2) You cannot throw a 5 year max at Cousins this summer. I know we want to, I know Dell may want to. I don’t know if organizationally there will be support for that move. That being said, this is my ideal course of actions. First, try to make moves around the edges without surrendering the 1st round pick. The Pelicans have a short rotation and the looming hard cap makes it difficult to outright sign players from say, China. The Pelicans need to trade unplayable salary for playable salary, or no salary at all. At this point, bodies are a commodity. Next, the Pelicans need to explore the buyout market. With guys like Monroe potentially being candidates for a buyout, the Pelicans still may be able to pick up an adequate rotation player to get them through the season. Finally, the team needs to go into this summer and explore a trade for every possible secondary star on the market. Kevin Love? Kemba Walker? This is a step I would have advocated for even if Cousins did not get hurt, but having top end talent to ease the burden on Davis and Holiday is important now more than ever. However, to complete a trade like this, you need draft assets. This is why we need to hold onto the pick until there is better opportunity. Only after this, you have a sit down with Cousins and his agent and discuss a contract amenable to both parties. A 1+1? 2+1? It will be difficult, but there is an optimal amount in there somewhere. Grayson: I’ll take short term (Jason more than covered my thoughts on long-term). The Pelicans have made it known that they are going to try and add talent before the deadline. Whether you agree with it or not the Pelicans organisation is desperate to win now, they’re all in. So the only feasible trade asset they have is their 2018 (and 2020+) draft pick. I think they’ll look to add a back-up big either like Channing Frye (who Gentry loves) or perhaps someone like Dewayne Dedmon. I think they’ll go with the former type of big rather than the latter. Go all in on shooting and spacing, keep your offense going. The other aspect of this, short term, is that Cheick Diallo and Omer Asik are going to have increased minutes. Diallo has shown flashes of his offensive potential, but his terrible rebounding and poor defensive IQ have been evident in his brief spells this season. However, now is his chance to step up and contribute. He’s athletic enough to run the floor and is a high energy player that won’t slow down the Pelicans offense too much. I’d also be interested to see if the Pelicans put increased pressure on Solomon Hill to return. He’s a vital piece that will at least mitigate some of the issues in the front-court.